I have a box of faux leather that has been sitting in a corner of my crafting room for months. I didn’t open it for I do not even know for how long. My initial idea was to try to make a leather baby shoes and share the tutorial here on my blog. But because of the lack of my inspiration and time, the box is exactly the way I got it. But somehow I knew the time will come and we will do something awesome with it. Newborns usually do not need a firm sole on their “shoes” since they are not walking yet and they would be probably too heavy for their tiny little feet. A great alternative to that are crochet or knitted baby booties that are in my opinion more socks than real shoes. They should be soft and gentle on their feet, even if they are wearing them on the naked skin, like crochet sandals or moccasins. Today we are going a step further. We will create baby booties with a soft leather sole. Since I am not a fan of a real leather, I will use a faux one that is a nice imitation of a real leather. First off, cut the sole from the piece of leather and punch some holes into it with a leather hole puncher. There are two ways how to use a faux leather sole on your crochet booties. 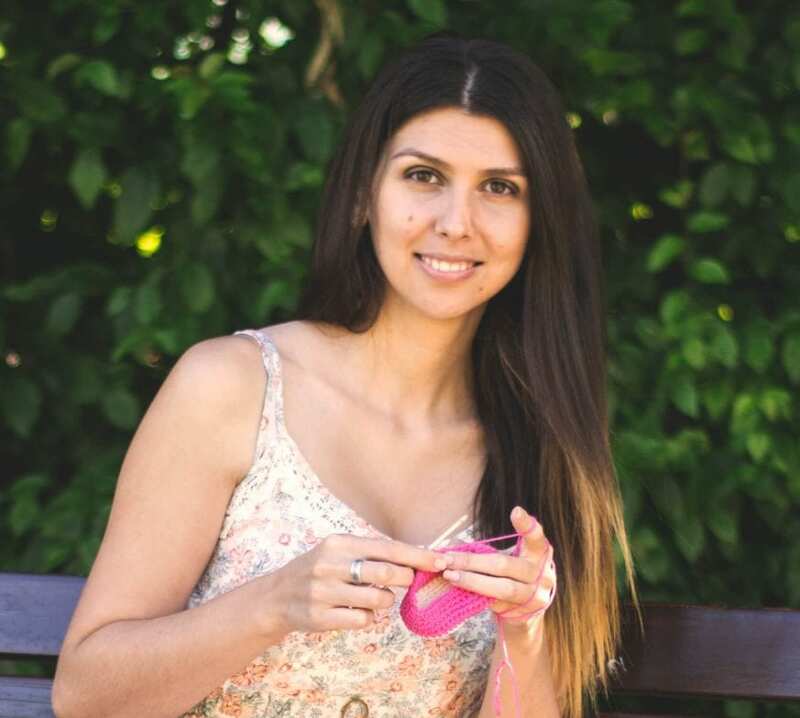 Your first available option is to sew the sole on the top of your crochet one like I did in this tutorial. 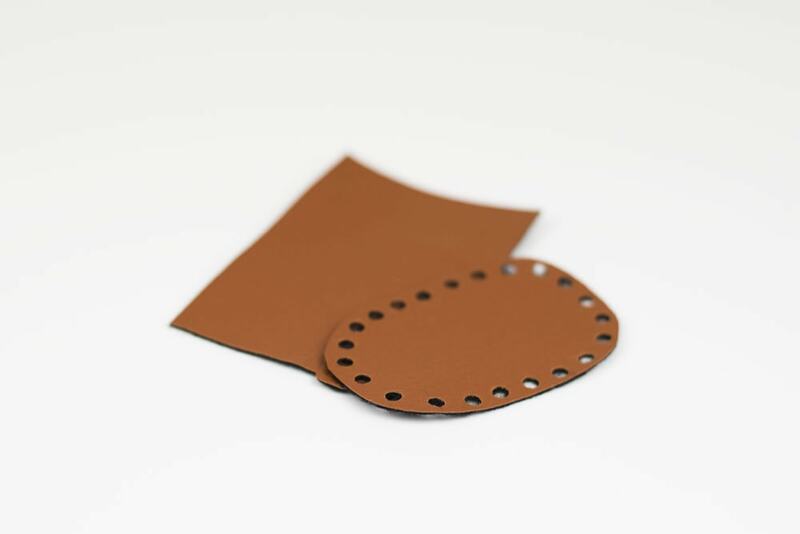 The second option is to make your first round of upper part directly into holes of the leather sole. In this case, the leather sole will replace the crochet one. This is very easy and beginner friendly tutorial. 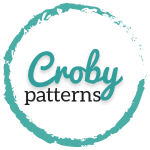 Share your work with us using the hashtag #crobypatterns on social media! The pattern is worked in rounds. Join at the end of each round with a slip stitch. In this slip stitch case does not count as a stitch. The pattern starts with a chain. You will need a small amount of each yarn. I used around 34 m of yarn for both shoes. If the number is written before the stitch 3 hdc work 3 hdc into the same stitch, if the number is written after the stitch hdc 3, work hdc into next 3 stitches. Use stitch markers. Always mark your first stitch of the round. There are all kinds of possibilities for color combinations. Choose your favorite colors for this project. You can find this lovely crochet pattern available as an inexpensive, ad-free, beautifully formatted and print-friendly PDF in my Etsy shop. The pattern includes some additional sizes as well. Start with a beige yarn. Ch 6. Start in the 2nd ch from the hook. Round 1: 2hdc. Hdc 3. 6 hdc sts into the same ch. Continue on the opposite side of the ch. Hdc 3. 2hdc. Ss. Round 2: Work 2 hdc into next 2 sts. Hdc 3. Work 2 hdc into next 6 sts. Hdc 3.Work 2 hdc into last 2 sts. Ss. Round 1: Ch 1. Hdc 26. Ss. Round 2: Ch 1. Sc 8. Hdc 1. Repeat dc2tog 4 times. Hdc 1. Sc 8. Ss. Round 3: Ch 1. Sc 7. Hdc 1. Repeat dc2tog 3 times. Hdc 1. Sc 7. Ss. Round 4: Ch 1. Hdc 19. Ss. Round 5: Ch 2. Dc 19. Ss. Round 6: Ch 2. Dc 19. Ss. 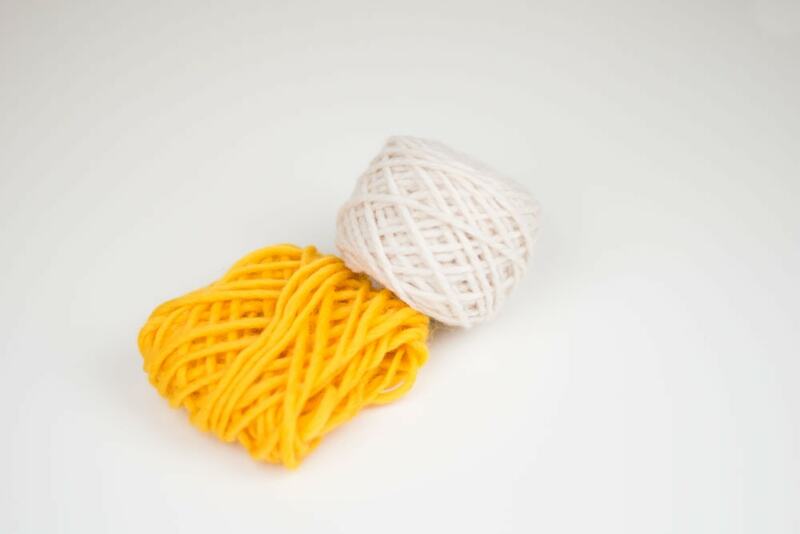 Thread a needle with a yellow yarn and make a hem using a blanket stitch. Take a strand of yarn and make a small knot on both sides of it. Weave in and out of the half double crochet stitches of round 4. Tie in a bow in front. Take the piece of leather cut two pieces in shape of the sole. They have to be the right size, no too small and not too big. Make 20 holes into the sole just a few millimeters from the edge and sew the leather sole on the crocheted one with the beige yarn. Thank you so much for stopping by! Don’t be shy and subscribe to my blog and my YouTube channel. I share new tutorials almost every week! I just wanted to say that your videos are done so well. They are so easy to follow and so great when I finish them. Hi there, I’m just wondering where i can find the pattern for the larger size of these? It’s the cream and yellow booties with the leather sole. Hi! I am looking to purchase this pattern for the bigger sizes. But your link does not bring me to the pattern I can buy. Is it available somewhere else? No, I am sorry. This pattern is available in one size only. Hey really love this pattern and your video makes it that much easier. I was wondering if there is a way to make this using super bulky yarn? I have this yarn id love to use just don’t know how to adjust the pattern so the newborn aren’t huge! !